Though the Port’s headquarters received a Gold certification through the City of Portland’s Sustainability at Work program, the beginning of 2013 also saw the kick-off of Port’s Sustainability Integration Team, charged with internally promoting the triple bottom line concept of sustainability throughout the organization. In the spirit of sustainability, the Port launched a Stormwater Master Plan effort to gain a comprehensive understanding of existing stormwater infrastructure at Portland International Airport and other Port facilities. The work will allow the Port to more efficiently and effectively manage stormwater infrastructure, keeping our facilities operational while protecting water quality. 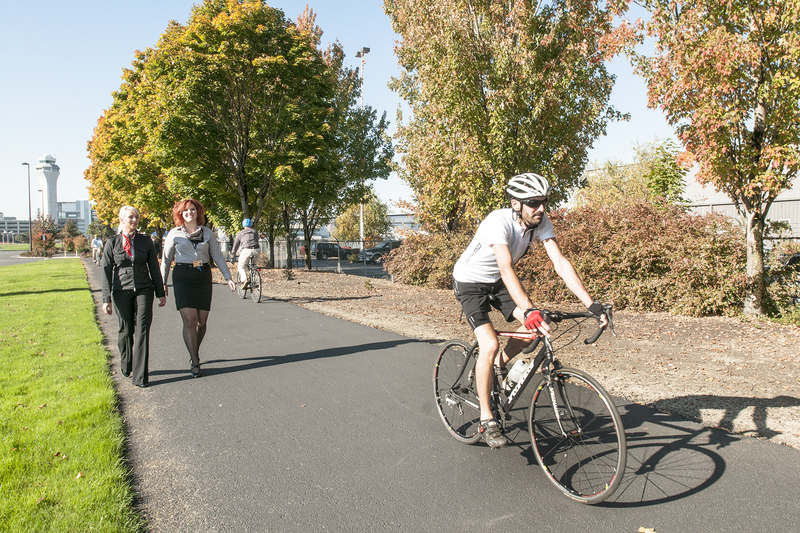 After 10 years with a Bicycle and Pedestrian Master Plan in place at PDX, Port staff completed an update to the document. 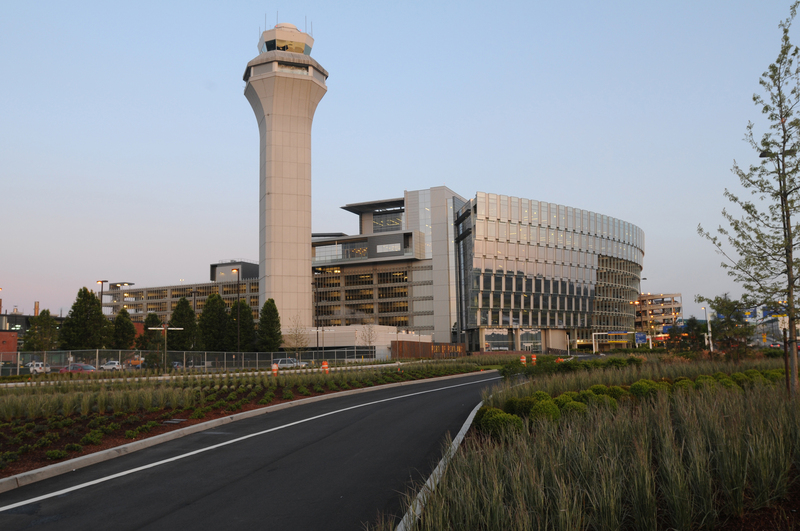 The 2003 Plan was the first bike and pedestrian plan in the nation developed specifically for a commercial airport. The plan update will be released in the new year and contains recommendations based on outreach to local transportation agencies, airport employees, and the public. This year also marked the 10-year anniversary of a partnership between the Port and Portland State University’s Community Environmental Services program. Throughout the last decade, CES student consultants have contributed to incredible innovations in waste minimization at PDX and other Port facilities. CES contributed to the launch of a food donation program at PDX in February. In its first eight months, the program has already contributed 32,600 pounds of food – equivalent to almost 22,000 meals – to local meals service providers. 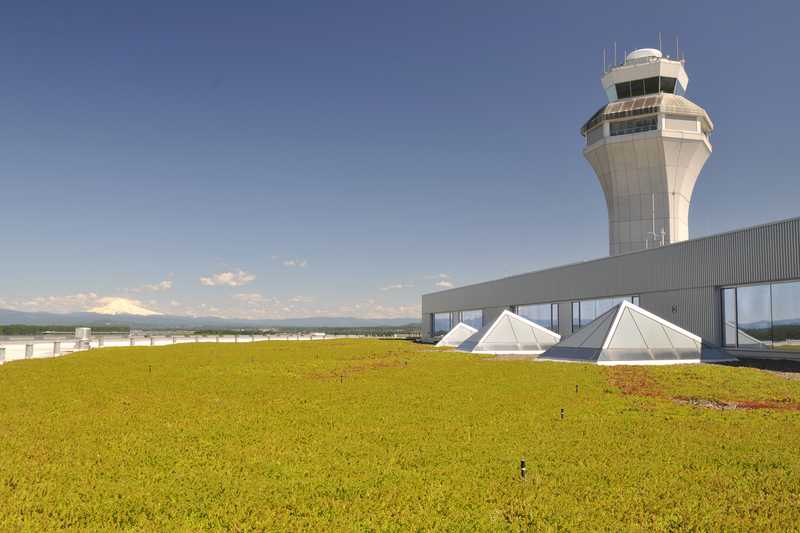 Though a few other airports have food donation programs, PDX’s program was so well executed that it received this year’s Green Concessions Award from Airports Council International-North America. The program was also featured as one of a handful of stops for United Nations Environment Programme delegates during their visit to Portland for World Environment Day in June. In 2013, the Port continued to participate in the Healthy Purchasing Coalition, coordinated by the Oregon Environmental Council, which allows local governments to share information about best practices in avoiding hazardous or toxic materials. The Port adopted its own Sustainable Procurement Policy this year to help guide purchasing decisions. In February, the Port contributed to a highly collaborative restoration project in Elrod Slough. The effort leveraged funds and resources from the Port, the Multnomah County Drainage District, the City of Portland’s Revegetation Program, and nonprofits Columbia Slough Watershed Council, Friends of Trees and Verde. Port staff got their hands dirty volunteering at Elrod Slough and at a neighboorhood tree planting with Friends of Trees in March. In October, Port staff volunteered with SOLVE and Friends of Baltimore Woods at the Baltimore Woods Connectivity Corridor, just up the hill from our marine Terminal 4. We look forward to seeing all the many trees and saplings that were planted take root and thrive in the coming years. Out in east Multnomah County, the Port continued to work with the City of Gresham on the 221-acre Gresham Vista Business Park. With some grant funding from Metro, the team is working on a framework for eco-industrial development. If successful, the framework could result in a roadmap for other developers in the region to create projects resulting in economic, social and ecological benefits. Though the Port consistently earns high marks for its purchase of 100 percent renewable power, efficiency and conservation remained a high priority in 2013. The Dredge Oregon, which maintains the Columbia River navigation channel, was brought in for the second and final phase of engine repowering. PDX maintenance staff replaced close to 1,000 older, incandescent light bulbs with more efficient LED versions in Concourse C and in some of the hundreds of signs around the airport. The Port added a parking guidance system to the long-term parking garage. A similar system is already in place in the short-term garage and aside from being a popular customer service feature, it helps cut emissions from vehicles searching for a parking spot. Electric vehicle charging stations were also added to the short-term garage. And finally, the Port’s carpet replacement project has garnered a substantial amount of attention over the last several weeks. The project will replace the existing carpet which is over 20 years old. The Port is currently considering recycling, reuse and repurposing options for the carpet once it is removed. If you’d like to stay up to date on the fate of the carpet, sign up on the Port’s carpet email notification list. Happy New Year from the Port of Portland!